I was able to give my testimony at Ebenfeld MB Church on April 10th. Aside from bits & pieces on this blog, as well as in my column, this was the first time I have written everything out. It was an amazing process, and I'm thankful that I get to play a part in the mighty work God is doing! This post is my word-for-word testimony I gave that morning. I’m so excited to be here sharing my story with you this morning, and I was honored by Pastor Jerred’s invitation to do so. As a writer, storytelling is a part of who I am. I’ve always been an avid reader, and even though I find reading and studying non-fiction to be highly valuable, I still prefer stories! There’s something compelling about storytelling, and the more I learn, the more I realize that’s by design. If you were here almost 12 years ago, you heard pieces of my testimony when I became a member of Ebenfeld. And if you read my newspaper column Lipstick & Pearls, or my blog, you also might be familiar with portions of my story. But today, I want to share my whole story, and may God receive all the glory and honor from the mighty work He continues to do in my life! For many years, I didn’t think the beginning of my story was significant. I grew up in Marquette with two sisters, Megan and Monica, and my brother, Kenneth. As siblings, we had fun together playing many things including Little House on the Prairie. We were involved in community and school events. I enjoyed reading, playing dolls and Barbies. I spent time practicing violin and clarinet. I loved being on the volleyball court or the track. We went to Sunday school and church, where I also sang in the kids choir. When I gave my testimony for membership, I spent time talking about the death of my brother when I was 15 and the anger and despondency that came with it. I talked about how my Grandma Helen and my Uncle Larry both died within a year after Kenneth. I talked about God leading me to Tabor and awakening me to a life of dependency on Him. I talked about the important role Ebenfeld held in my response to the Lord’s prompting on my life. But what I didn’t say then...what I didn’t even KNOW then...was how deep of an impact events from my toddler years had on my life. I was born on a wintry March 20 evening in 1983 to my mom LaReta and my biological father. Shortly after my 1st birthday, my biological father separated from my mom and a divorce followed. By the time I was three, he had walked out of my life for good. For reasons still unknown to me, the rest of my biological father's family, including my grandparents, also removed themselves from my life. 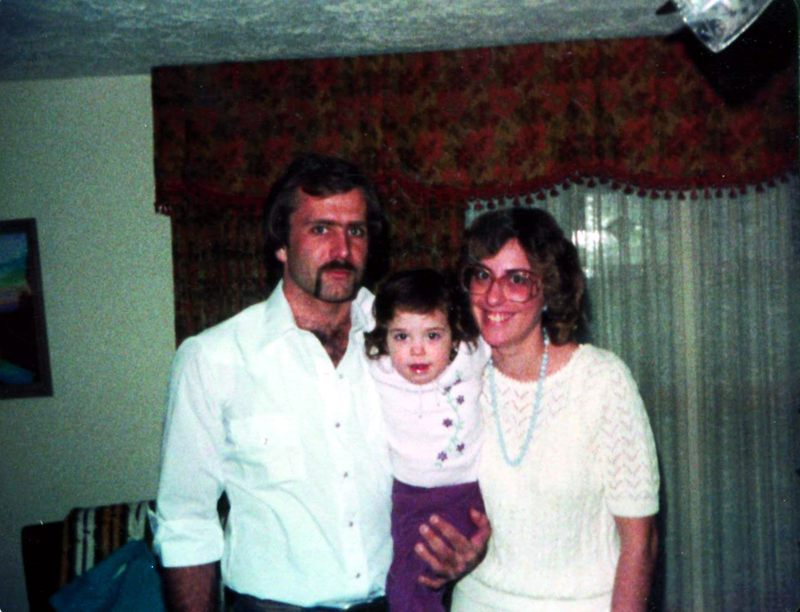 In 1985, my mom remarried my dad, Steve, and the day before their first anniversary, my sister Megan was born. My brother joined three years later, and Monica, four years after that. When I was 4, my dad officially adopted me into the Olson family. A place I have always viewed as a blessing. However, when my real dad left, there was something very primal that started growing in my brain. No matter how much I knew I SHOULD feel secure and happy, there was always a part of my brain telling me I didn’t belong, that I wasn’t understood, that I was second-rate and that if I messed up enough, eventually I’d be left again. Sometimes I even doubted that I was loved and wanted. If my own dad didn’t want me, why would anyone else? And from there, trust issues developed along with a deepening negativity. That’s why God tells us to renew our minds and to think of excellent and praiseworthy things. It’s why the mind is included in the armor of God. It’s a powerful element of being a human. Those thoughts I just told you about? All lies. As a child, I didn’t know any better but to believe them. As I grew, I nursed them. And as I did, those thoughts grew, turning into my perception of the truth. And so, my faulty foundation was formed. I’ve always been known as “the strong one”. For awhile, I took pride in that title. But, after Kenneth died, I started to resent it...there’s a lot of pressure to be the strong one, especially when it’s your own strength. But, that’s who people said I was, so, that’s who I needed to be. I was very practiced at it, and the world around me didn’t have a clue that there was NO WAY I was strong. For instance, when our daughter Gracelyn was 1, our family went through a very difficult time. At her routine, one-year check-up, Gracelyn’s lab results came back abnormal. In fact, her hemoglobin levels were so low that our pediatrician sent us to Wichita for immediate hospitalization and evaluation of our little girl. For the next 18 months, we went to specialist after specialist. Gracelyn had labs done at least weekly. She had two transfusions and also underwent a growth hormone test, all before she turned two. During those 18 grueling months, my mama-heart turned into a warrior for my daughter. I spent HOURS researching. I learned quickly how to advocate on her behalf. I also pelted the doctors with lists of questions and ideas...in fact, one of our specialists told me he would hire me as a researcher! But doing all that research helped me avoid thinking. Because underneath that tough exterior, I was absolutely paralyzed! I kept returning to the night my brother died, and the prayer I prayed...I stood looking out at the darkening sky and prayed that my brother would be found alive. He wasn’t. I always knew that God could do anything. But I never believed, especially after that, that He would do anything of importance for me. Our journey with Gracelyn made me so fearful that God was going to take her away from me, too. I knew I SHOULD be confident in God. I had people telling me to have faith. People shared Bible verses with me and said they were praying for us. Church leaders came to our home and had a healing service for Gracelyn. With that healing service, I was praying for and expected a miracle. I was trying to have the faith people told me to have. Instead Gracelyn caught a cold and her surgery was delayed for a month. My faith took a huge blow in that moment, and I stopped praying seriously for medical issues. I knew God could, but I didn’t believe He would. The support our family received was meant to be helpful, but really, it crushed me. And even after Gracelyn’s diagnosis of hereditary spherocytosis and a successful surgery when she was 2.5, I continued to have trust issues, this time with God...This is how I looked at it: He allowed so many bad things to happen in my life, and hardly a whisper of trouble for other people...and it just wasn’t fair. I knew I SHOULDN’T feel that way. And I SHOULDN’T compare myself to anyone else. But just because I shouldn’t believe something, didn’t mean those feelings went away. In other words, building on a faulty foundation won’t bring peace. Instead, a faulty foundation doesn’t support the weight it is supposed to carry, and falls down when trouble comes. Being the strong one was putting me on shaky ground, and yet I continued to build on it. I continued to believe in and claim Jesus, and yet, I just couldn’t understand why I didn’t feel joy in my life. Turns out, my grit-your-teeth-and-bear-it attitude wasn’t REAL perseverance. It was just me trying to use my own strength. I wasn’t drawing from the source, and so I wasn’t drawing the benefits of perseverance, which Romans 5:4 describes as character and hope. And oh, how I longed for that kind of hope! But God’s word is clear when we are told to build our foundation on the rock. He is Jehovah Tsuri! He IS that rock. When we choose to build on anything other than HIM, our foundation is faulty. And that is what God revealed to me in the largest sermon illustration I have EVER seen! That weekend, God showed me that the walls I had built...walls that I THOUGHT were protecting me from getting hurt again and making me strong...were really interfering with the work He wanted to do in my life. That weekend, God let me have a glimpse of the freedom He offers to anyone who belongs to Him in Christ. He showed me that promise is for ME...unwanted and abandoned me...and I willingly asked Him to destroy my walls. But the deconstruction didn’t stop there. Don’t forget my faulty foundation. God definitely didn’t! But my walls had to come down before the foundation work could begin. Women’s Encounter served a distinct purpose of softening my heart and opening my eyes a little bit more to the scope of the defects in my mind and heart. In September of 2014, a portion of our back patio dropped out and disappeared. Weird, Brad and I thought...and Brad grabbed a flashlight. 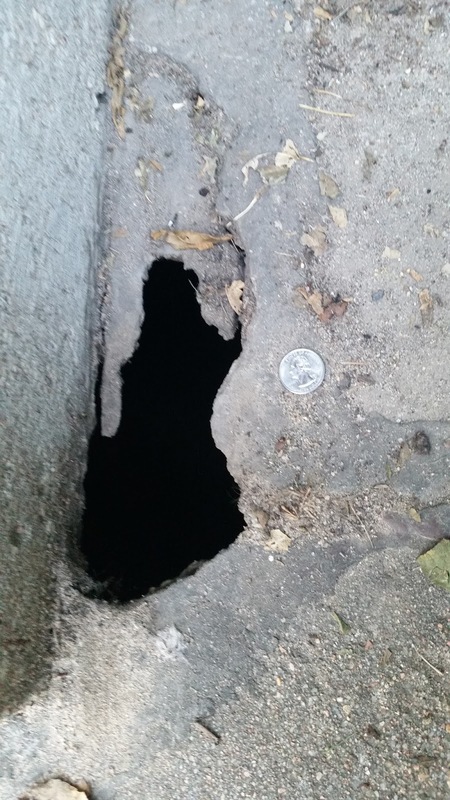 Instead of expected dirt, there was a hole underneath the cement. A couple months later, our dads came to help us start fixing what we thought was simply a nuisance of homeownership. A couple hours later, the full extent of the problem was revealed. A cistern located under our back porch had been improperly filled, and over time had worked as a siphon to carry dirt out from under our porch and also the back foundation of our home. This left us with a normal-looking porch suspended over nothing. God knows I’m a visual learner, and the parallels to my life are uncanny. My hole dropped out at Women's Encounter. The depths of my instability were revealed in the months to come. The lies I had believed about myself, about my circumstances, about God had created a funnel that was sucking life...and joy...from me. So I had to also come to terms with needing help myself. Before Women’s Encounter, a lot of surface healing was done...but not the kind of ripping apart, digging, pulling sort of deconstruction I needed. The kind of healing I needed was exactly like the construction that happened in my backyard. Just like He provided the right contractor to fix our home, God provided a godly counselor for my life. After about 7 years of thinking I should seek counseling, I finally got brave enough to do it during the summer of 2014. People have told me they admired my courage to seek help. And it DID feel good to finally walk into Gina’s office. But, I also want to confess that I was very slow at obedience to God’s prompting. God revealed that sin to me as I was reading the story of Jacob wrestling with God...which I was drawn to one day because I woke up with severe knee pain that came out of nowhere. 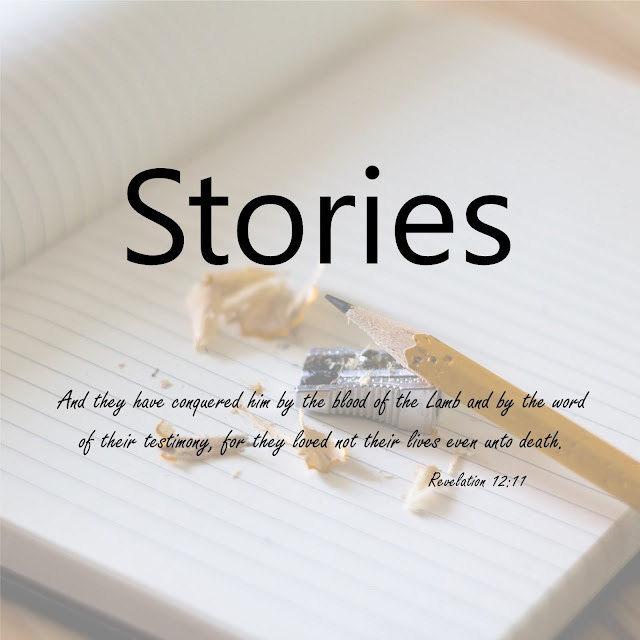 In his story, Jacob was specifically told to return to the land of his father and grandfather, but his slow obedience had dire consequences for his family. My slow obedience has negatively affected my family as well. The pull-up-my-bootstraps mentality helped me stuff emotions regarding relationships...and things that were small weeds the first time God suggested counseling have now grown bigger and dug deeper. With urgency this morning, I want to encourage you into speedy obedience to whatever God is prompting! It’s not that I don’t miss Kenneth, but God had already bound that wound! However, in my ignorance to what was really going on, I continued to use his death as the reason I felt so down. There were some counseling sessions that were completely scattered as God worked in me to open my eyes to the toxic thinking and depression that had been a part of my life since I was a child. And, how he did! In 1 Chronicles 28:20 David declares: “Be strong and courageous, and DO THE WORK. Don’t be afraid or discouraged, for the LORD God, my God, is with you. He will not fail you or forsake you.” I latched onto those words as my own commission to remember the past and work forward into the future. In one memorable EMDR session, God opened my blind eyes to a gaping hole in my structure. It used to be, when I thought about my childhood, I remembered sadness and discouragement. I would remember crying alone in my room. But God, in His wonderful compassion, gave me an image that I will never forget. In place of me crying alone, I saw Him sitting with me, also weeping. You see, My God is Jehovah Shammah. He is THERE. He WAS there. And He knew what was going on. He knew how much pain my heart felt, even when I didn’t. And He was THERE. God designed us to have choice. Cory chose to walk out of my life. And then I chose to let that define me. But in the past 18 months, I’ve learned that I’m more than that. I am a child of God. What a glorious thing. I AM a child of God. If you’ve chosen to follow Jesus, you are a child of God, too. Providentially, we are currently starting to rebuild in our back yard. And this ongoing life illustration continues to make me smile. God is a giver of great gifts! For a long time, I’ve lived fear. Fear of rejection, of being wrong, of waiting for the other shoe to drop. What has started to change things is utilizing the power that comes with knowledge. It’s changing the way I think. It’s one thing to use the past as a crutch. To look back and see a poor-poor-pitiful-me and shrivel up and die. As I’ve talked about today, it took a long time and a lot of slow obedience to start wrapping my roots securely around Christ. But now, a boldness is surfacing in me. Understanding is being connected. A dream is forming. And it’s the dream I am excited about. Dreams have always seemed to be a luxury to me. In my past experience, you get what you get, you buck up and pretend you’re OK. You don’t dream because it ends in disappointment. Or because you are at the mercy of everyone else. But this dream is written into my “for such a time as this” story. I’m ready to be audacious. I’m tired of settling for deliverance to the wilderness when I have been invited to cross over into the promised land! This winter, in addition to convicting me about slow obedience, God used the Jacob story to also raise my awareness about garments. And when something pops out to me in scripture, I’ve learned to pray, listen and watch because newfound freedom is coming. And the “popped” garment scripture was in preparation for a testimony I heard during February’s IF Gathering. Mid-way through Saturday of the event, a beautiful woman dressed in a Sari stepped behind the podium. With quiet dignity, she draped another Sari across the podium and stepped behind the microphone to tell her story of abuse, fear, running and redemption. To end her testimony, she told a story of rescue. As she stood there in her beautiful new garments she referenced the other Sari. The other Sari was one of the only personal items she escaped her nightmare with. This woman currently works with International Justice Mission to rescue others trapped in abuse, slavery and fear. During one rescue, there was a girl with a deep leg wound. The girl tried to pretend the wound wasn’t hurting, but it was terribly infected and festering. The woman used her old sari to bind the wound. And the stain remains. An impactful story with a bold witness. Using the past to bind up the wounded. That’s my dream. God is turning my greatest hurt into my greatest passion. He is calling me to raise awareness about the effects of toxic thinking, especially in those who have experienced childhood trauma, and use my old garments to bind up others. What was intended for evil in my life, God intends to use for good. And may God receive SO MUCH GLORY that the accuser regrets EVER messing with me! It’s still unfolding, but I have a starting point with Gracelyn. Childhood trauma is real, yet not really recognized. I’ve lived my whole life in it, yet I’m only now understanding it. Thank you for sharing your story. I can relate in some ways as I lost my brother to cancer at the age of 4 almost 5. My fears of being abandoned or rejected has steered most of my life. It's been a long journey but I know God is a healer and he cares about every detail. Hi Malinda! I really, really enjoyed reading your story (and I love your writing style, I can really feel your voice!) First, I have to commend you on how strong you are for sticking with Christ through all of this. I can definitely see similarities in both of our stories, moments of weakness, many losses, times of confusion and resentment. Yet, I think we both realized His love for us and through all these hardships, you and I both gained strength and perseverance and became better, more faithful Christians because of it! Again, thank you so much for sharing your story. I'm excited to see what He has in store for you! Sending you so much love from Hawaii!